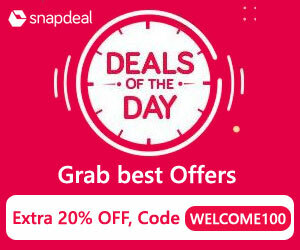 Snapdeal Home Furnishing!! Furnishing your home in your own styles with these best-selling home decorative products such as Furniture, Bedsheets, Curtains, Cushion Covers, Bath Robes and more and receive a discount of up to 70% on each order. Look gorgeous at the party at a party by opting for these best-selling designer tops and tunics. Shop now by examining this impressive assortment & collect a huge discount of up to 80%.